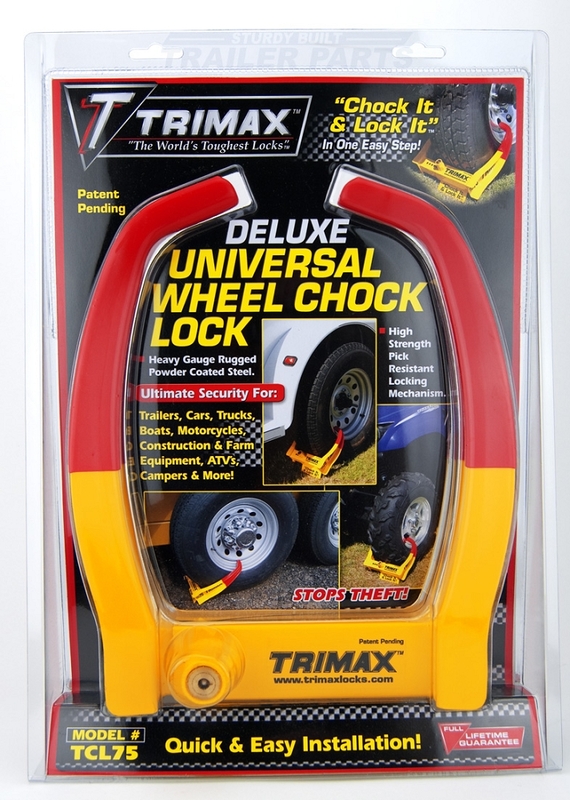 This deluxe universal trailer wheel chock lock boot is manufactured by Trimax. 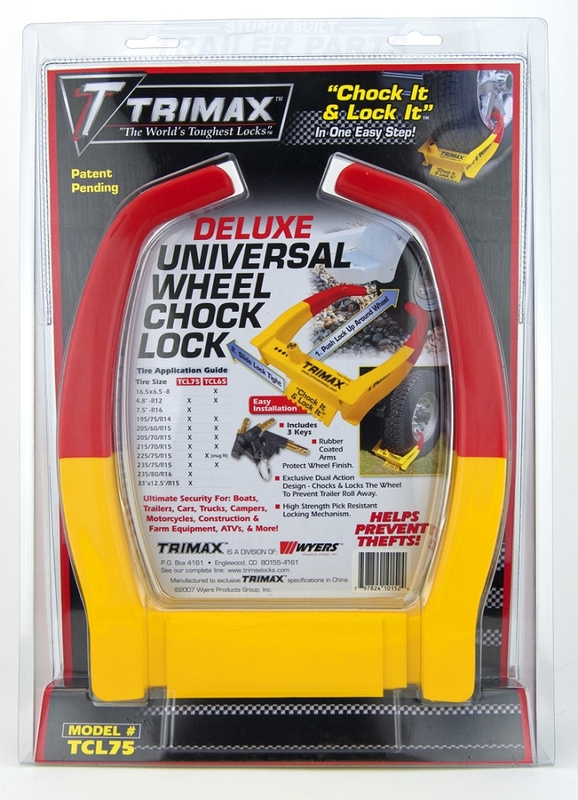 This lock is a great investment to protect your trailer, truck, SUV, ATV, or anything else you don't want to see walk away. 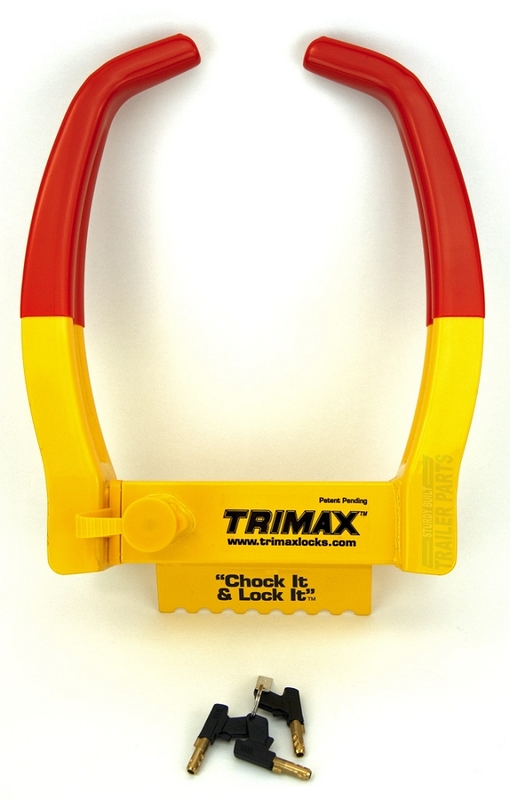 Its bright yellow and red colors tell would be thieves to look somewhere else. 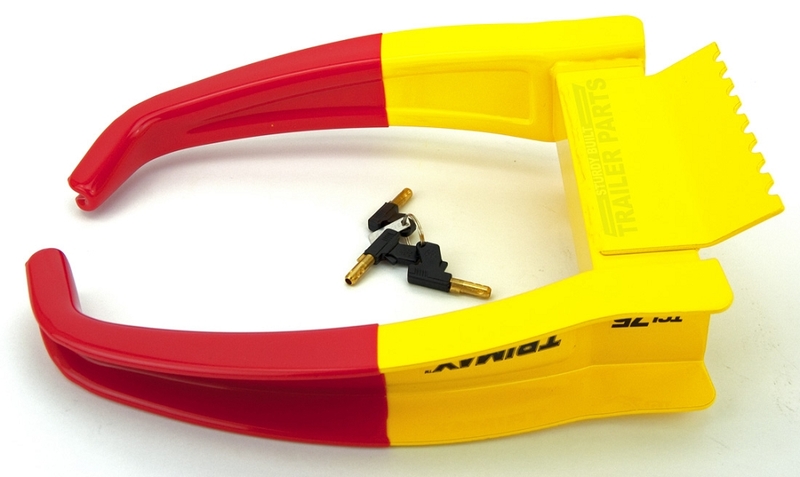 It is constructed of heavy gauge rugged powder coated steel. 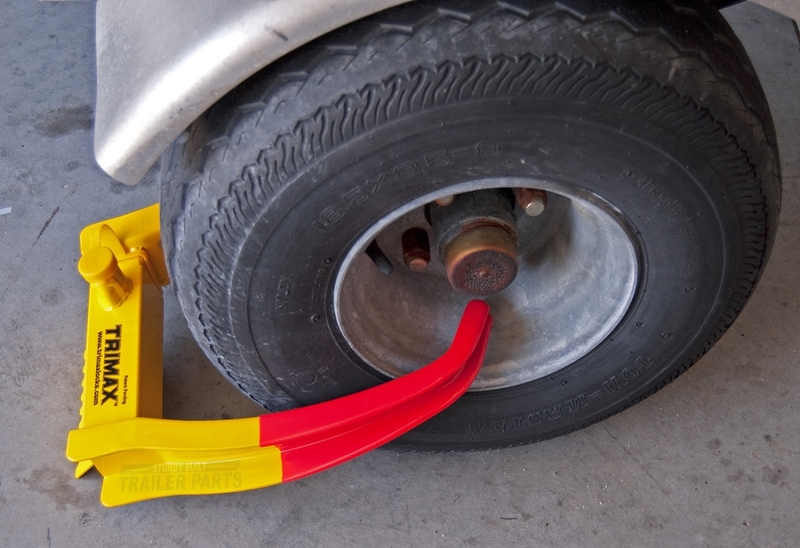 The arms are rubber coated to help protect the wheels finish. 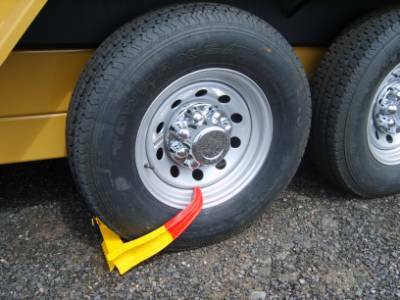 The trailer wheel clamp has a high strength pick resistant locking mechanism and includes 3 keys. 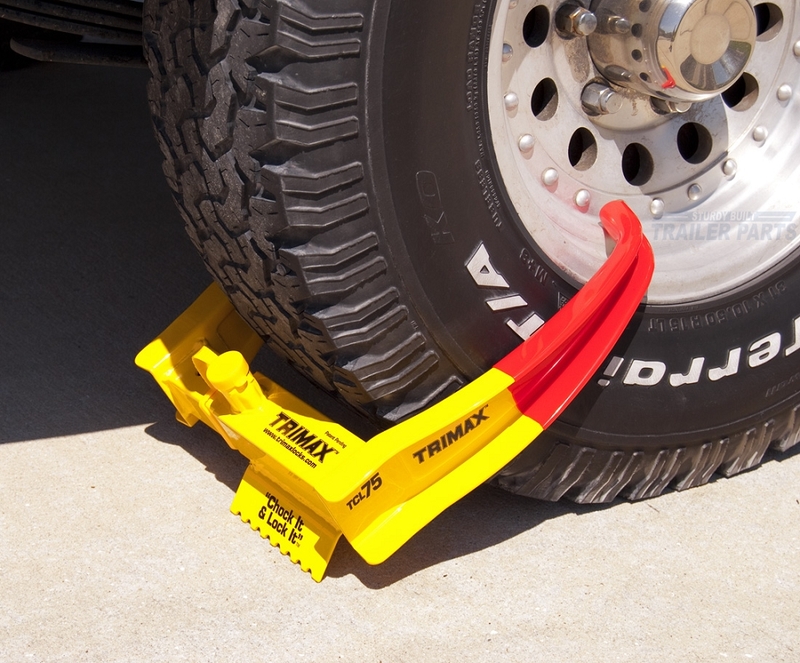 Trimaxs patent pending exclusive dual action design chocks and locks the trailer wheel to prevent roll away theft. 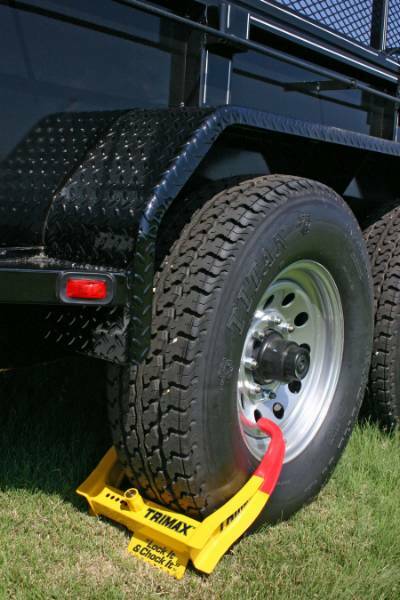 This lock will fit trailer tire sizes from 175/80D13 up to a ST235/85R16. 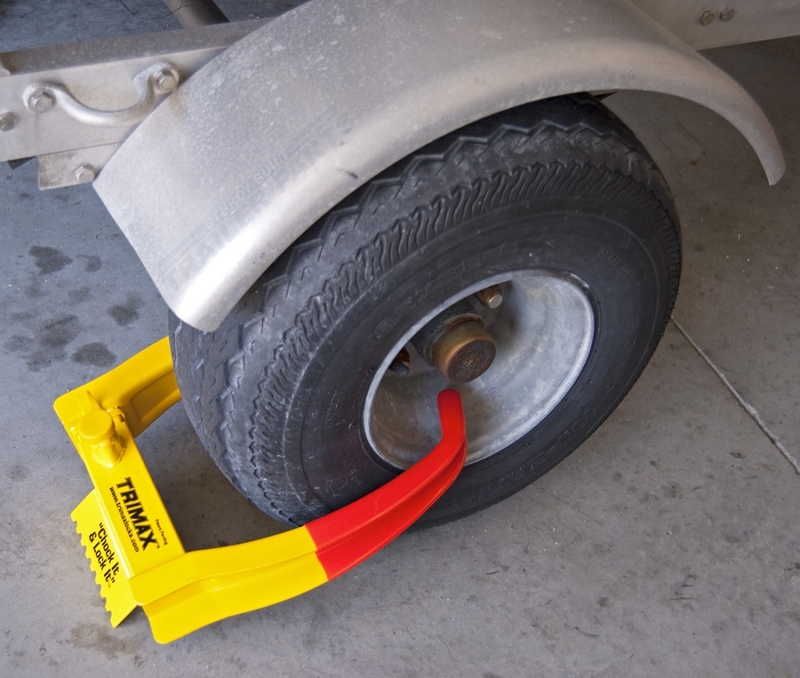 Using a trailer wheel boot lock is the most effective way to prevent trailer theft. 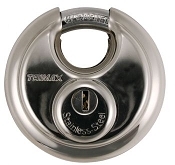 TRIMAX makes the worlds toughest locks. Through value added engineering design, TRIMAX is committed to product innovation that holds up to the highest quality standards. 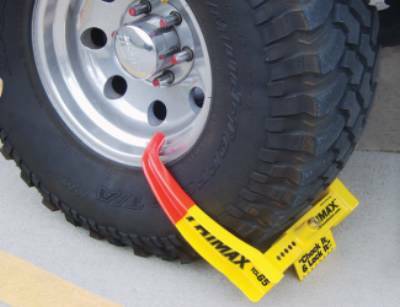 TRIMAX provides maximum security for marine, trailer and tow, RV, performance truck, power sports and bicycle applications. Tested. Tough. 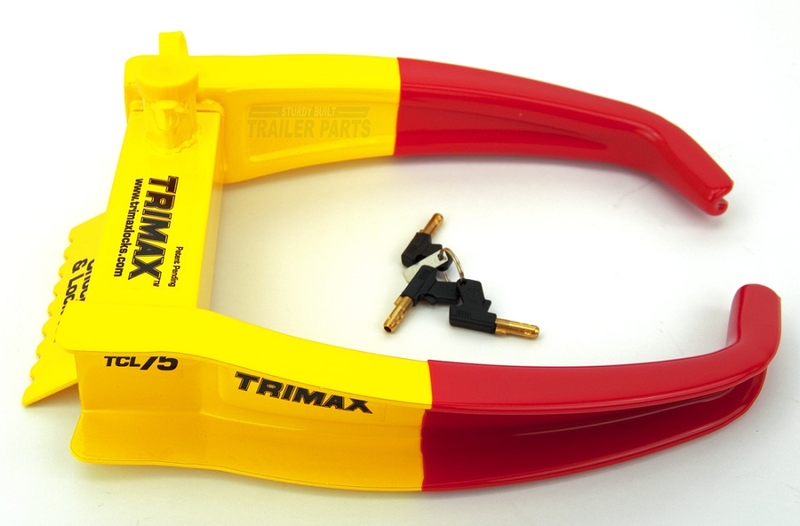 TRIMAX. 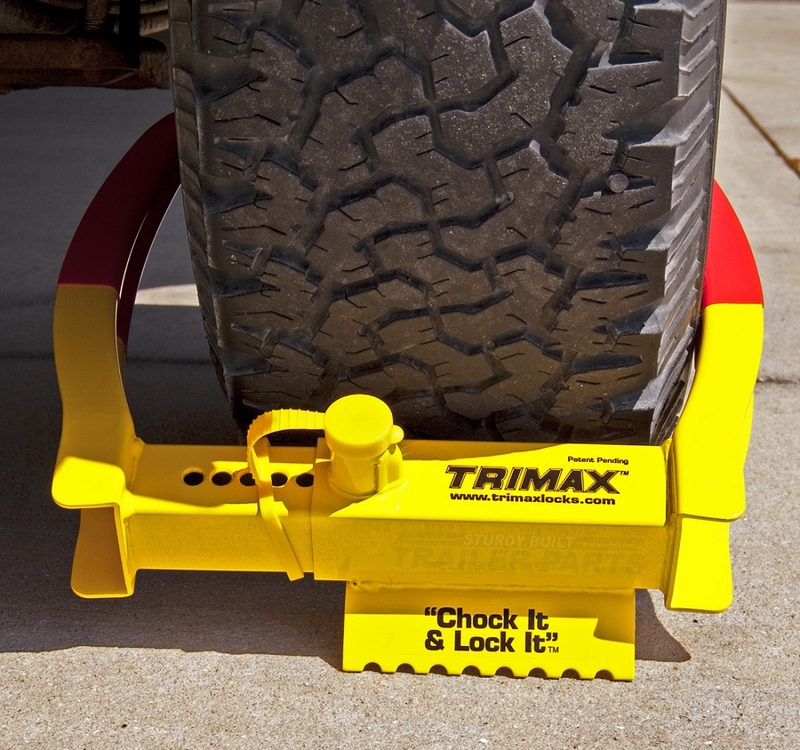 TRIMAX offers a lifetime warranty on all of their products. Everything arrived fine..easy install. Very pleased with this item. Received the two wheel locks strong great key system Installed wheel locks and the Trimax and I'm really satisfied with quality. Solidly built. Professional fit and finish. Very impressed with the quality of this product. Easy on and off. A breeze to Unlock and lock.